In 1588, Nicholas Yonge published his Musica Transalpina, a collection of translated Italian-language madrigals. It was a great success and this is how the madrigal travelled from Italy to England. Moreover, John Downland had studied under madrigal writer Luca Marenzio. We can presume that his music reflects, to a certain extent, the music of his teacher. At court, Francesco Bossinensis wrote music for Queen Elizabeth I. Moreover, we should note that Shakespeare had been influenced by Italy. He published The Two Gentleman of Verona (1594), Romeo and Juliet (1594), The Merchant of Venice (1506) and Othello (1604). My readers might also remember Twelfth Night, not published until 1623 but written in 1601 and first performed in 1602, at Candlemas. The twelfth night is Epiphany, the twelfth day of Christmas. I believe Duke Orsino was listening to madrigals. The English madrigal is a product of the late sixteenth and early seventeenth centuries Italian madrigal, but it also drew from the Spanish frottola, perhaps via Italian states. Its apparent ‘simplicity in complexity’ (my wording) differentiates it from many of the madrigals brought to England by Luca Marenzio and Francesco Bossinensis. The latter was acquainted with the Spanish frottola (plural, frottole). But before we discuss the madrigal, I will provide you with a YouTube URL entry that describes the English madrigal. Corradino’s video depicts word-painting. 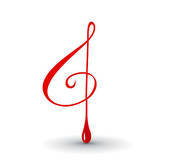 Composers would often imitate the feelings of the words within the poem to refect the music. John Wilbye’s (1574 – 1638). Thomas Morley was a theorist. He is the author of A Plaine and Easie Introduction to Practicall Musicke (1597). 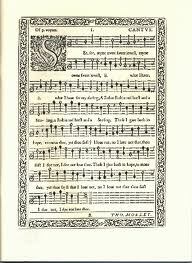 He published abundantly: 25 canzonets (1593), 17 cansonets for five voices and 4 for six voices (1597). In 1594, he published his first madrigals—a set of 22. In 1603, he edited and published a collection of 25 madrigals by various composers. Weelkes was moreover a composer of verse anthems, composed in the Venetian style. According to Britannica, twenty five of his full anthems are “restorable.” Weelkes’s madrigals are published in volumes 9 to 13 of The English Madrigal School, edited by Edmund Horace Fellowes (1913–24) and revised by Thurston Dart (1965–68). John Wilbye [iii] was the son of a farmer and landowner. He was am excellent musician who was hired as resident musician, first, to Sir Thomas Kytson of Hengrave Hall, Bury St. Edmunds and, after Sir Thomas’s widow died, he was employed by one of Kytsons’s daughters. John Wilbye composed 66 madrigals, 64 of which are compiled ìn two volumes published respectively in 1598 and 1609. His madrigals are also included in volumes 6 and 7 of the above-mentioned English Madrigal School. It appears that Wilbye’s finest achievement “lies in the grave music of his ‘serious’ madrigals.”[iv] As well there was consistency in the prevailing emotional tone of his madrigals. This thematic consistency sets him apart from his contemporaries. He showed artistry. In Le istitutioni armoniche (1558), Gioseffo Zarlino (1517-1590), specified that the criterion by which the Italian madrigal was to be judged was expressiveness. To achieve this end while retaining melodiousness, composers of madrigals required a thorough knowledge of harmony and counterpoint, but also essential was “inspiration,” and that is a rare gift. So, although, comparatively speaking, very few madrigals were written by English composers, there can be no doubt that the English madrigal was expressive and that it showed sophistication. As perplexing as this may seem, in Italy the rules of the madrigal were such that the genre had a limited life. Gesualdo kept adding voices. As for England, although madrigals were short-lived, they have recurred from time to time. However, the less complex Lute song and Consort song, which could be polyphonic, were more popular than the madrigal. In fact, each of our three composers also wrote for unaccompanied solo voice, but sometimes indicated that an accompaniment by viols or lute was appropriate, which explains the appeal of John Dowland’s Lute songs. As for Germany, the accompanied song was a favourite. It is of considerable interest that German-language people remained faithful to the Minnesinger, descendants of the troubadours and the trouvères. Richard Wagner‘s Die Meistersinger von Nürnberg, pays tribute to Hans Sachs who was both a shoemaker and a Meistersinger. As Bismark was building a unified Germany, Wagner was giving the country a past, the minnesinger, and a mythology. The simple song (canzona, canzonetta) has permanency, but the Madrigal lost much of its appeal not only because composers were adding voices, but also because of the rise of the opera (arias) and the cantata and the popularity of Suites contained dances: Allemandes, jigues, sarabandes, etc. The diva and the castrati grew into superstars, as is now the case with tenors. Pavarotti was a legend in his own time. [ii] “Thomas Morley.” Encyclopædia Britannica. Encyclopædia Britannica Online. Encyclopædia Britannica Inc., 2011. Web. 05 Dec. 2011. <http://www.britannica.com/EBchecked/topic/392460/Thomas-Morley>. [iii] “Thomas Weelkes.” Encyclopædia Britannica. Encyclopædia Britannica Online. Encyclopædia Britannica Inc., 2011. Web. 05 Dec. 2011. <http://www.britannica.com/EBchecked/topic/638798/Thomas-Weelkes>. [iv] “John Wilbye.” Encyclopædia Britannica. Encyclopædia Britannica Online. Encyclopædia Britannica Inc., 2011. Web. 04 Dec. 2011. <http://www.britannica.com/EBchecked/topic/643479/John-Wilbye>.